There’s a great appetite for smart television. Every day I get up and there are interesting stories I want to do. Just read and read and read and read. And talk. Get on the phone with somebody and say: tell me, what is it you think I should know? And then they may tell you seven things you know, and they may say something you hadn’t thought about. Charlie Rose, Fresh Dialogues, 2009. I don’t have to be the expert. That, you have to understand, is not what I have to be. I will never hold myself out to be the expert. My role is to be, in a sense, both ignite, inspire and create a platform for engagement by experts, it’s not to be an expert. Charles Peete “Charlie” Rose, Jr. (born January 5, 1942) is an American television talk show host and journalist. 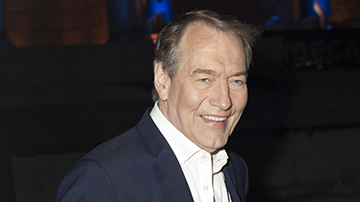 Since 1991, he has hosted Charlie Rose, an interview show distributed nationally by PBS since 1993. He has also co-anchored CBS This Morningsince 2012. Rose, along with Lara Logan, has hosted the revived CBS classic Person to Person, a news program during which celebrities are interviewed in their homes, originally hosted from 1953 to 1961 by Edward R. Murrow.